After five years of giving people a way to share their gaming with the masses, Twitch expands into the real world today with IRL, a channel dedicated to sharing everyday life experiences with strangers. IRL is the next step in Twitch’s evolution from game streaming service to everything streaming service, which began in 2015 with Twitch Creative and expanded earlier this year with its Social Eating channel. The new channel was inspired by Twitch creators’ requests to be able to share non-gaming aspects of their lives with their community. 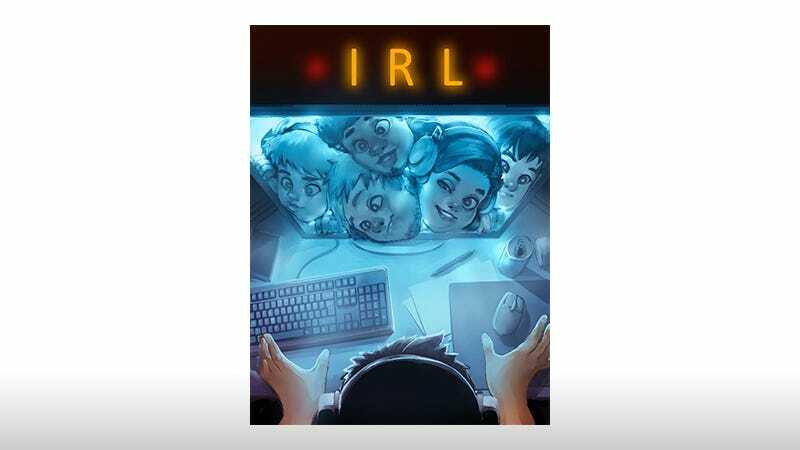 IRL gives Twitch users the ability to turn off the console or PC, turn to the camera and spout off about random things without worrying about getting pinged for not playing games like some game-playing monkey. They can talk about their lives, current events, go on rants, that sort of thing, creating video logs that can be either streamed live or uploaded to IRL. In order to help facilitate the need to reach an audience wherever and whenever, Twitch is working on allowing its mobile app to capture and stream camera video. This all sounds a lot like lifecasting, a term coined by the now-defunct Justin.TV, the precursor to Twitch. A Twitch representative addressed this comparison in an email regarding the announcement, saying that while Justin.TV was content driven, Twitch has been and will remain community driven. Okay. Content you do not have the rights to broadcast, including web browsing, movies, TV shows, music videos, sports matches, and live performances. Unattended content like sleeping on stream, 24/7 city/house cams, baby or pet cams. Content that requires operating video capture equipment and a moving vehicle simultaneously. Content for existing categories, such as gaming, poker, tabletop games, pinball, chess, talk shows, and creative should always be correctly categorized. All of the things listed under General Conduct. There goes my sleeping while driving stream. Still, it sounds like it could be fun to see our favorite streamers step out from behind the monitor, while drawing new folks who might not be too keen on gaming but are really into talking about themselves.